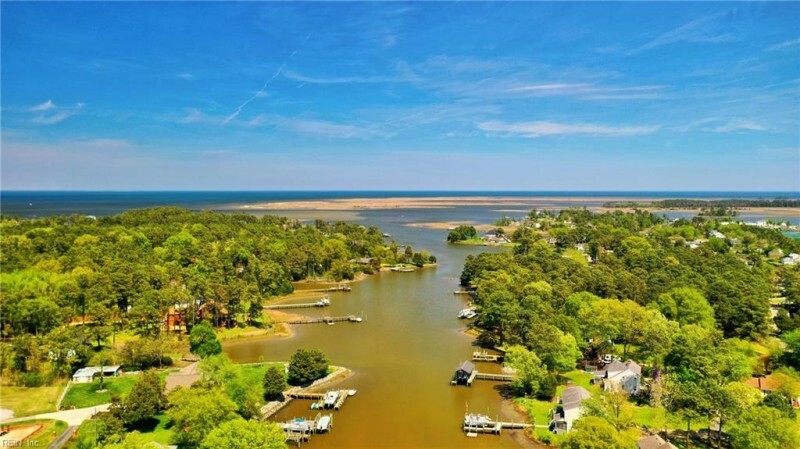 BEAUTIFUL WATERFRONT PROPERTY IN THE SERENE CITY OF POQUOSON. GREAT ROOM OVER THE GARAGE WITH DECK CAN BE USED FOR ENTERTAINING. BRAND NEW 50 YEAR ARCHITECTURAL SHINGLED ROOF, NEW HOT WATER HEATER, NEW HVAC FOR UPSTAIRS, DUAL ZONED. NEW WINDOWS AND RIP RAP AT YOUR PRIVATE WATERFRONT WITH DOCK. POOL TABLE IN GREAT ROOM IS AVAILABLE TO PURCHASE. REFRIGERATOR IN GARAGE ALSO CONVEYS ALONG WITH MINI FRIDGE IN GREAT ROOM. SHARP 43" TV CONVEYS AS WELL. PERFECT HOME FOR GROWING FAMILY! COME SEE THIS PROPERTY TODAY BEFORE IT'S TOO LATE! WON'T LAST LONG! Ready to visit 36 Pasture? Request a free property tour! Send me more information about the listing at 36 Pasture, Poquoson, VA 23662, MLS# 10252683. This 4 bedroom, 3 bathroom home located at 36 Pasture, Poquoson, VA 23662 has approximately 2,223 square feet. It is currently listed for $429,000 and has a price per sqft of $19,298. This home is currently New Listing under the MLS#: 10252683. This listing is provided by Better Homes&Gardens R.E. Native American Grp. 36 Pasture Road, Poquoson was built in 1961. It has Garage Att 2 Car parking.The kitchen includes Dishwasher, Dryer, Microwave, Elec Range, Refrigerator, Washer. 36 Pasture is part of the All Others Area 111 neighborhood located in 23662.